Peterson Perfect Plug in my Savinelli 614 Spring. Stokkebye Proper English in a Peterson Donegal Rocky 221. 1Q in a GBE 549 International bent bulldog. 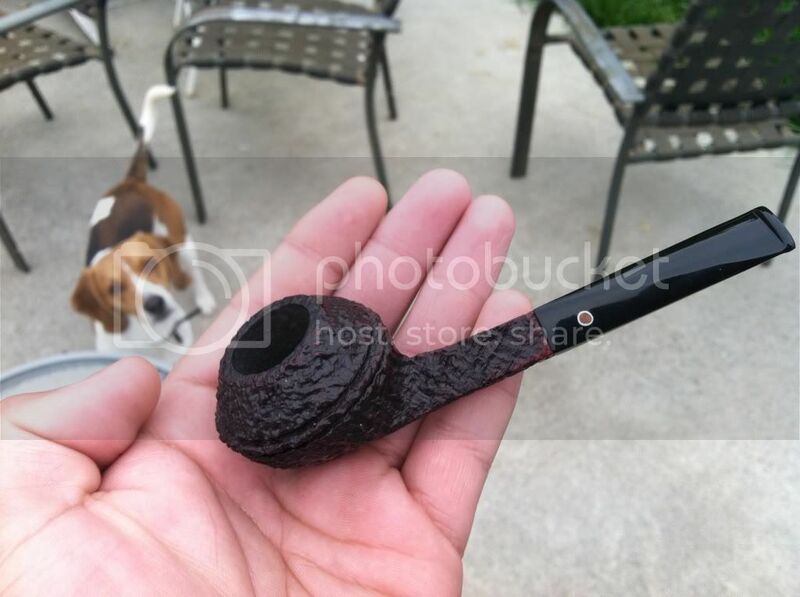 Some of good Old Sammy Gawith's Navy flake in a S&R yard pipe. I am not usually a lat type of guy but it really seems to balance this blend out. I am going to try some of the heavier lat blends in the near future. (revisit a taste of what I wasnt big on first go round), because I ve matured as a pipe smoker. Bring on the lat bombs! Astleys No.99, in a Castello. GLP Blackpoint in an Ashton billiard. Sitting under the gazebo watching it rain with Marlin Flake in a Nording freehand. 4.5 year aged Robusto in an old group 5/6 Parker straightgrain billiard. A horrendous cold makes it tough to evaluate. But it's cool as a pipular comfort food. Started the day with OJK '07 in my Savilelli Oscar Lucite Bulldoggy. Just finished a bowl of P&W #78 in my Maestro Poker. Now on to a pipeload of 2015 in my Wiley Rhody. 7 Seas Regular in a large bowl Knute freehand. Opening Night in a rustic Autograph 4. EMP in a Stanwell Zebrano. EMP in a Stanwell acorn while drinking my morning coffee. Balkan Supreme in the Tinsky bulldog.